Today is my first trip with other members of TeamSeagrass and we are doing monitoring at Chek Jawa. I helped to guide two new teamseagrass members with the monitoring session. It was a hot day but thank goodness, the wind helped to ease the heat a bit. 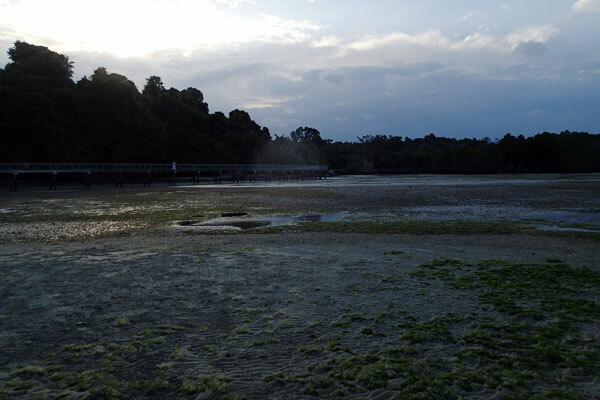 After the monitoring, we all had some time to check out the shore of Chek Jawa. Upon arrival at Chek Jawa, we were greeted with the sight of mama pig and her piglet feeding on food she pushed off from the bicycle basket. The wild boars are able to smell food kept high above ground, like a bicycle basket, and they are smart enough to knock off the bicycle in order to get the food. From the image below, this pair of wild boar even tore the packaging of the can drinks. 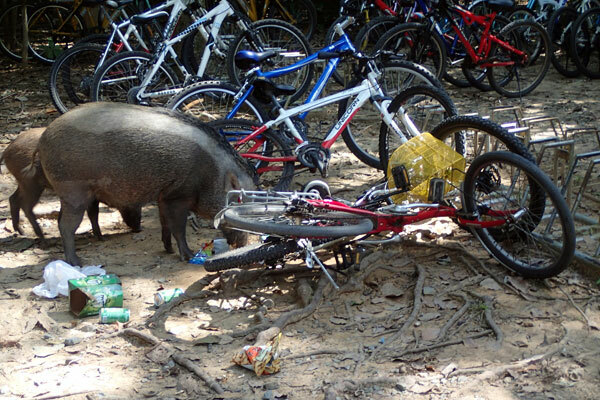 Wild boars helping themselves to human food by knocking them off bicycle baskets. It is important not to leave any food unattended when visiting Chek Jawa. We often find guest leaving food in their parked bicycles and eventually having the food packaging ripped open by visiting long-tail macaques or some wild boars. On the shore of Chek Jawa, there marine life are doing quite well despite the high amount of rainfall for the past few months. 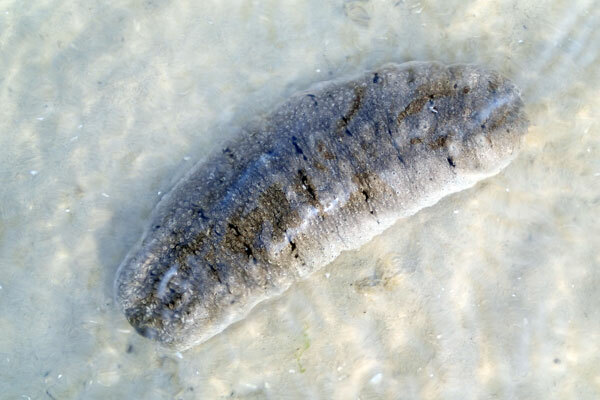 One of the commonly found animals is the garlic bread sea cucumber (Holothuria scabra). 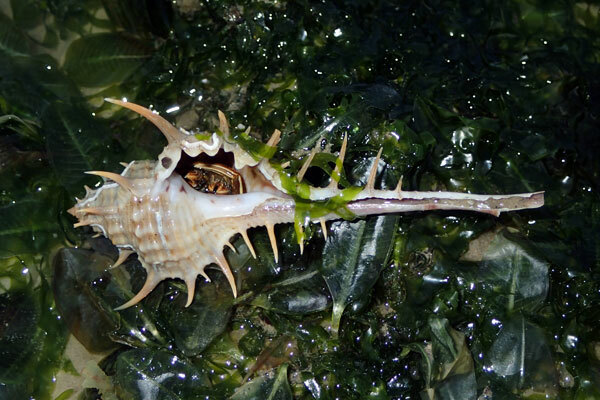 A rare-spined murex (Murex trapa) is no longer home to its owner, but to a hermit crab. 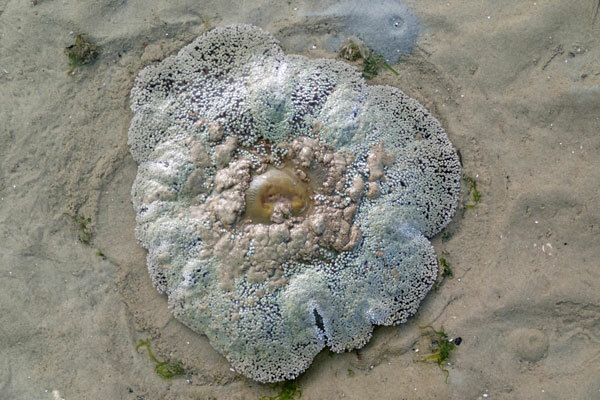 The carpet anemones are returning to Chek Jawa quite well. I found them in various sizes. 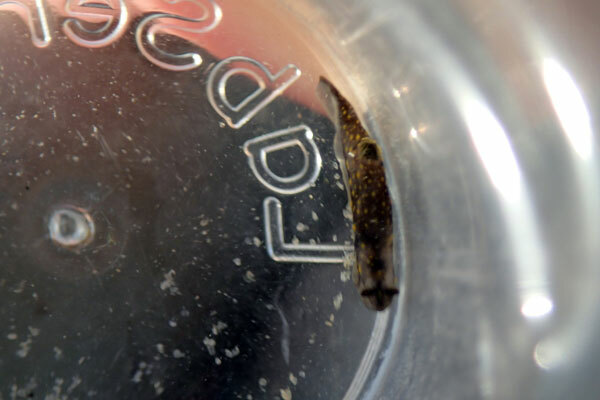 Chay Hoon found a tiny sea slug. I am sometimes amazed at how she is able to spot something so small sized. 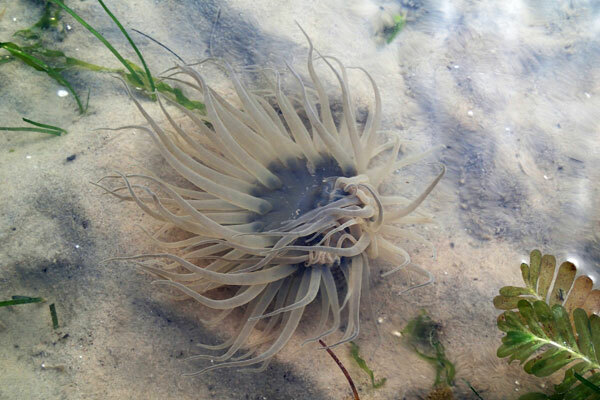 One other interesting find by Chay Hoon is the pimply mangrove anemone. 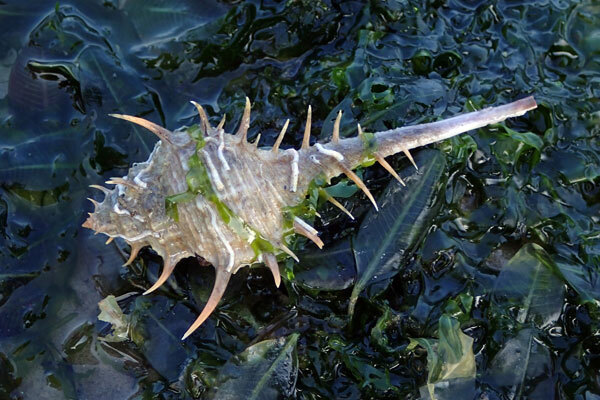 They are usually found in very soft mudflats on the seaward side of mangroves. Sometimes, it can also be seen on other soft silty sandy shores. 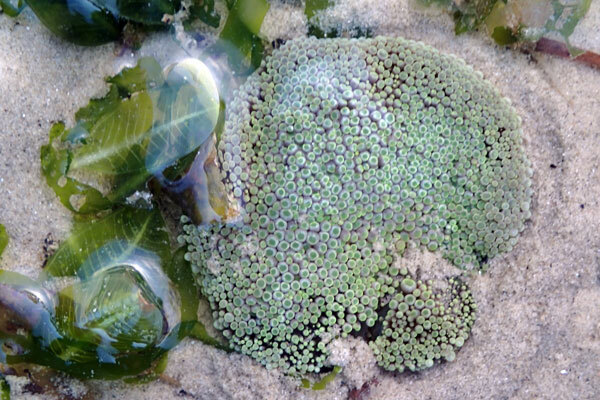 On the body column of the anemone, there are pale bumps in regular rows. As the sun starts to set, it was time for us to leave the shore and head back to the information kiosk. For the second time this month, I failed to spot the dugong feeding trail. Hope I am able to spot one the next time I visit a seagrass patch. Ria Tan - Did Chek Jawa survive the rainy weather?